Common signs include constantly having to add coolant, visible coolant leaks, and the engine overheating. The coolant recovery reservoir is the storage and supply reservoir for engine coolant. It is usually located in the engine bay near the radiator. A coolant recovery reservoir is required because automotive cooling systems go through cycles of expelling and absorbing coolant through their normal operation. When the engine is cool the pressure is low and it requires more coolant, when it is hot the coolant expands and less is required. A pressurized cap allows the excess coolant to purge into the reservoir when the pressure has reached a certain threshold. For some vehicles, the coolant recovery reservoir is also a part of the pressurized system, and acts as an important pressure equalization chamber for the engine’s cooling system. Because it is an important component of the vehicle’s cooling system, when the coolant recovery reservoir has problems it can quickly lead to issues that can cause damage to the engine. Usually a problematic coolant recovery reservoir will display a few symptoms that can alert the driver that a potential problem has occurred. Having to constantly add coolant to a vehicle is one of the first symptoms of a problem with a coolant recovery reservoir. If the coolant reservoir has any small leaks it may cause the coolant to leak or evaporate at a slow rate that will not be easily noticeable to the driver. Coolant will have to constantly added to the vehicle every so often. This problem can also be caused by a leak somewhere else in the cooling system, so a proper diagnosis is recommended. Another symptom commonly associated with a bad or failing coolant recovery reservoir is leaking coolant. If the coolant recovery reservoir becomes damaged or develops any cracks, perhaps due to old age or boiling coolant, it will cause coolant leaks. Small leaks or cracks may produce steam, drips, and a faint coolant odor, while large leaks may produce puddles and an obvious coolant odor. 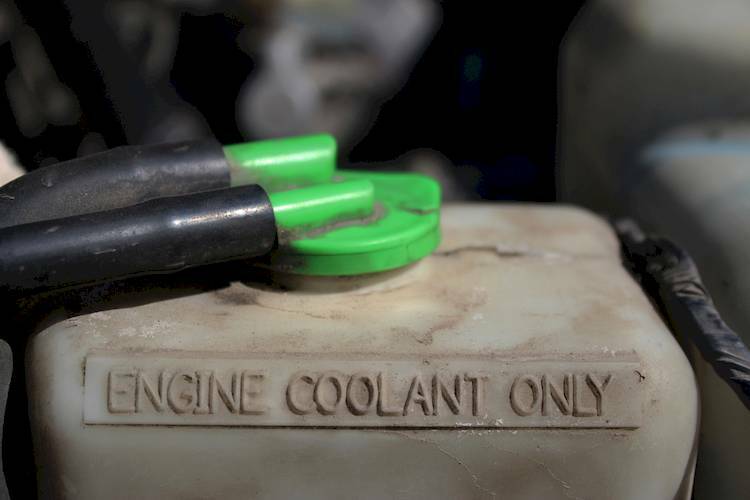 Any coolant leaks should be addressed as soon as possible to prevent overheating. The engine overheating is another symptom of a potential problem with the coolant recovery reservoir. If the reservoir leaks and the coolant level drops too low that can quickly lead to the engine overheating, depending on the size of the leak. For vehicles where the reservoir is part of the pressurized coolant system, if the reservoir has any issue it can disturb the cooling system’s pressure which can also cause overheating. The coolant recovery reservoir is an important component to any vehicle as it is part of the engine’s cooling system, which protects the engine from overheating. For this reason, if you suspect that your coolant recovery reservoir may be having an issue, have the vehicle properly diagnosed by a professional technician, such as one from YourMechanic, to determine if a coolant recovery reservoir replacement is needed.